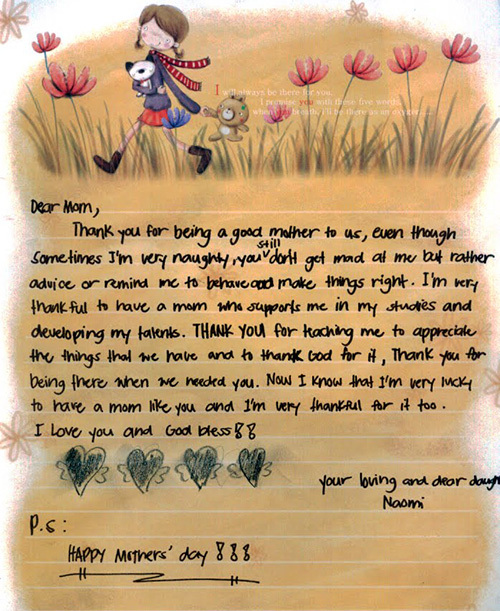 It’s not my birthday, not even Mother’s Day but I’m posting these letters from my kids when they were so much younger. I think I have posted these letters nine years ago this month. Reading them again made be feel happy and sad. Happy because I felt loved by my children. Even if they were young they were able to express their thoughts in writing. I also feel sad because I no longer receive similar letters from them. But I know both of them still love me just the same. The last letters were from hubby and another one from my daughter on her graduation day. I think I have posted both letters separately on this blog. Throwback Thursday: Celebrating My Son’s 18th Birthday! 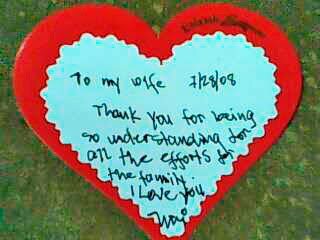 This entry was posted in Family, Memories, Personal and tagged important occasions, letters from my children on October 5, 2018 by Mommy Yam.